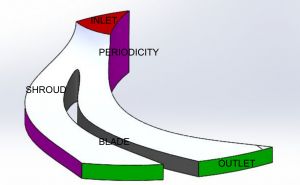 Sometimes CFD and FEM simulations can really be hard to complete. If you are un-experienced, you may find some of the basic tricks of this type of analysis quite difficult to understand. In these situation please don’t panic: there are very simple operation to accomplish to obtain an impressive result. One of these operation is understanding the meaning of boundary conditions. As usually in these situation a practical example can really help you understanding what is happening. Let’s just consider a simple pump simulation. 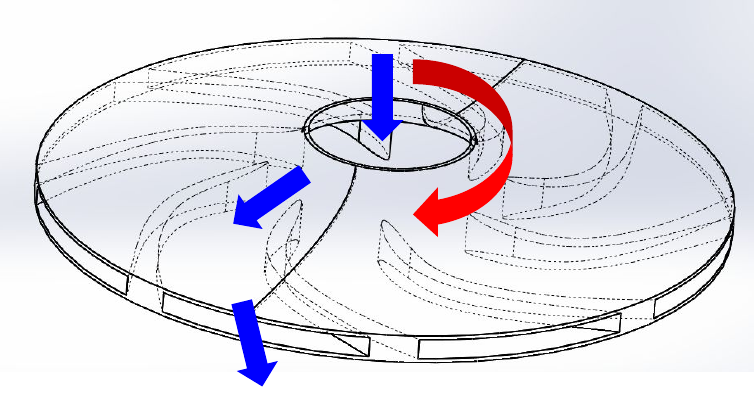 As you may expect, while the impeller rotates the flows is pushed from the central axis to the external part of the impeller. If we look carefully the impeller, as in this image, we can see an axial symmetry of the geometry. Obviously, to simplify the simulation and reduce the computational costs, it is fundamental to take advantage of this symmetry and reduce the overall simulation domain to a slice of the impeller. 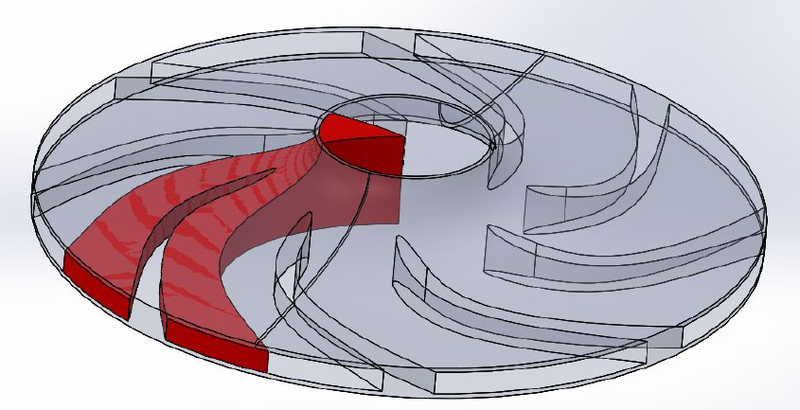 When we complete the 3D model of the impeller slice (remember to follow our guidelines for this) an important phase starts: the definition of surface groups. These groups, sketched here, are fundamentals: they can be used to define mesh refinements, to impose boundaries and, during post-processing, to make fundamental calculations. This phase is generally made during the geometry step, when the user has the possibility to group faces into a single boundary as per the following video. Once you have created all the face groups required for your peculiar case you can proceed with the mesh generation and, finally the CFD settings. In this stage you are required to impose a peculiar behaviour on every face defined during the GEOMETRY step. This behaviour is nothing else than the physical representation of the boundary itself: inlet, outlet, wall, etc. So think logically: just consider what is happening though that surface and find the boundary type that best represent this. CONSELF in fact gives you a number of pre-configured boundary conditions to apply to your geometry (check our manual to discover them!). If you think you are now ready, start with a new simulation for FREE right now!